Complete IN16-4-V1 nixie kit with all parts, excluding RTC option. 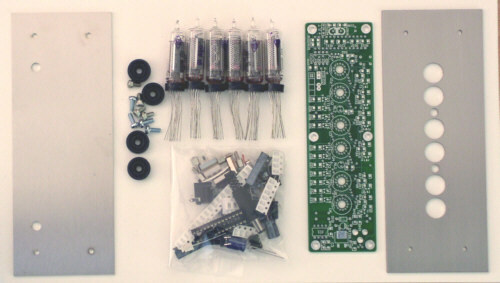 You will receive all the parts, to assemble yourself, nixie tubes, double sided pcb, electronics components, stainless steel plates, wooden frame, screws, feet, the lot. Real Time Clock option for nixie, binary or oscilloscope clocks. This option keeps your clock running during power interruptions. 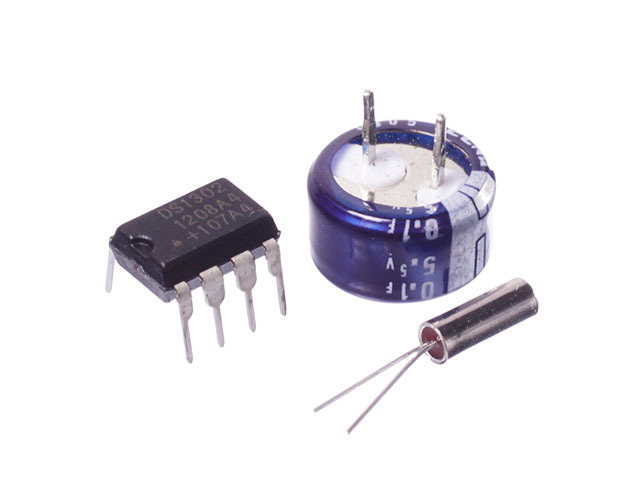 A charged super capacitor of 100.000 uF feeds a special time energy saving keeper chip to accomplisch this. An extremely useful option, not very often seen in other nixie, binary or oscilloscope clocks.